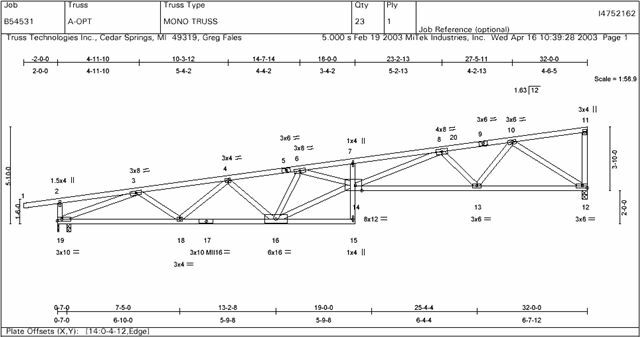 Experienced, knowledgeable TTI designers utilize MiTek design programs to engineer our trusses to conform to or exceed applicable building codes and ensure the structural integrity of all roof and floor truss systems we produce. 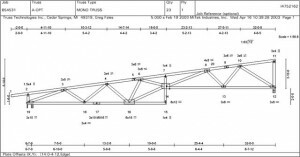 MiTek is an industry leader in engineered design and manufacturer of lightweight steel truss connectors and the largest truss engineering firm in the world. 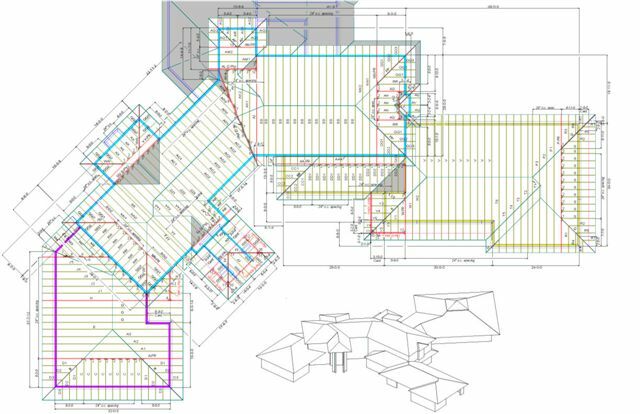 Full color, detailed and informative, laminated truss layouts (as shown below) are provided on all complex roof and floor truss systems enabling more accurate and efficient installation keeping the contractor’s labor costs to a minimum.